Today, Dawn and I met up with Mary, a birder from New Mexico and John, also an American, but who lives in Gaucin and is a good friend of ours. Mary is visiting John for a few days and insisted on going out birding. 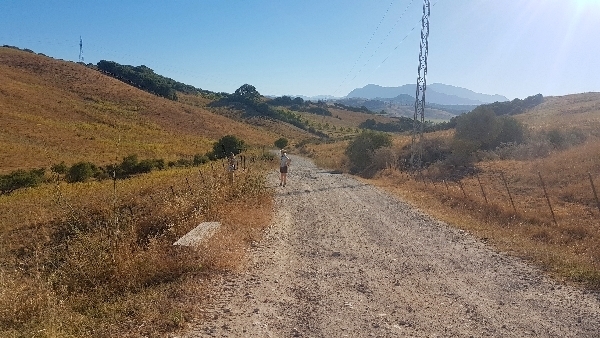 We met up on the edge of town and drove down the coast road towards Algeciras turning onto a side road just after San Pablo. We were heading for one of my favourite local birding places, the Marchenilla Track. We stopped a couple times just before the track to look at a flock of some 20+ White Storks in afield and then to look at a regular sighting of a Little Owl, Mary was thrilled to see this species. The first 100 meters of the track was covered in birds it took a while to move at all! Its just great when you have an enthusiastic foreign birder with you, they get so excited about even the most common species. 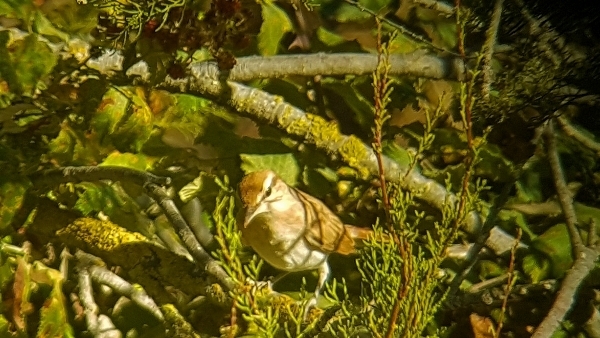 So after we went through Collared Dove, House Sparrow, Greenfinch, Goldfinch, Barn Swallow and Common Swift we moved onto the ‘real goodies’ on my patch. 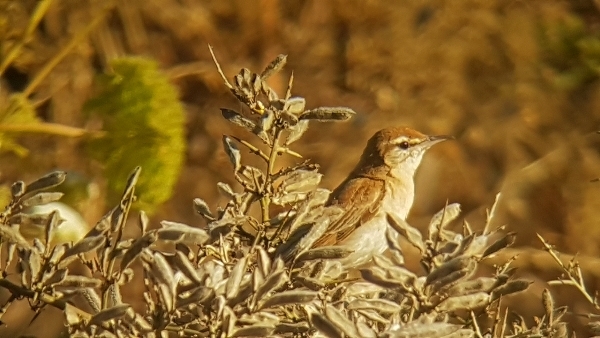 A fly over Zitting Cisticola was fleeting and it never reappeared, the same went for our first Sardinian Warbler. 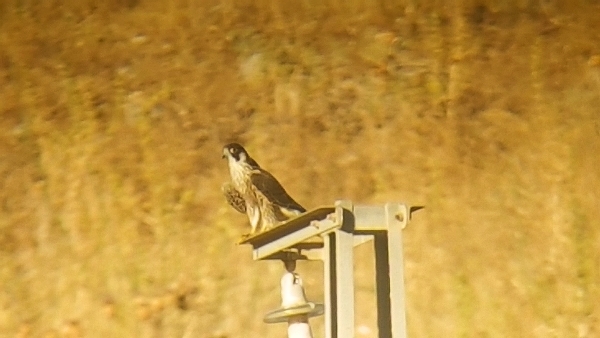 European Bee-eater and Common Kestrel brought the excitement back quickly followed by a juvenile Peregrine Falcon perched on a pylon and a Booted Eagle circling above us. Crested Larks and Corn Buntings added the drab element to our, so far, colourful birding and then a Short-toed Eagle appeared, wow, here we go again, OMG. We picked out several Alpine Swifts from a flock of over 200+ Common Swifts and we ‘scoped a group of Lesser Kestrels sitting on distant power lines. 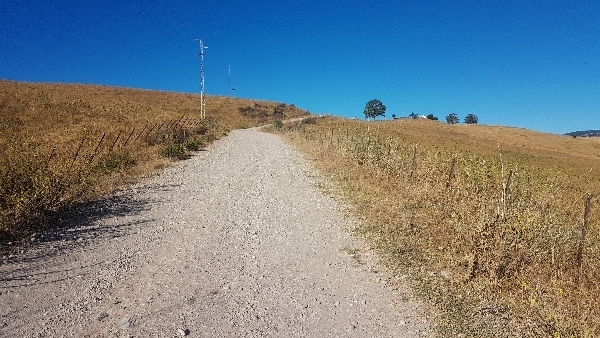 As we progressed along the track into a wide valley of grass meadows (burnt also white by the sun) we heard a bird in song, my god, it was a Rufous Bush Robin singing. 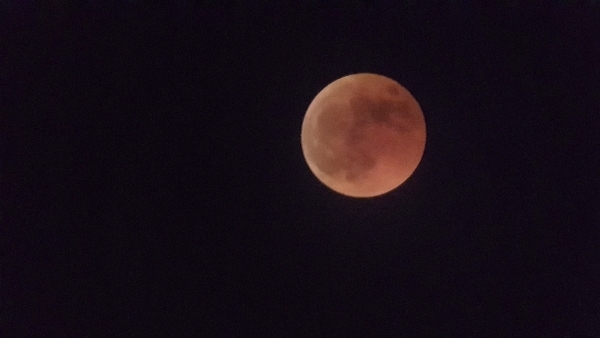 It took all of 1 minute to locate it, amazing really I never expected that! Usually these birds have gone quiet by the end of June, but hey ho, I’ll take it. Over the next 30 minutes we watched this uncommon breeding species singing and feeding on blackberries, in fact two of them (both adults) came out to play. 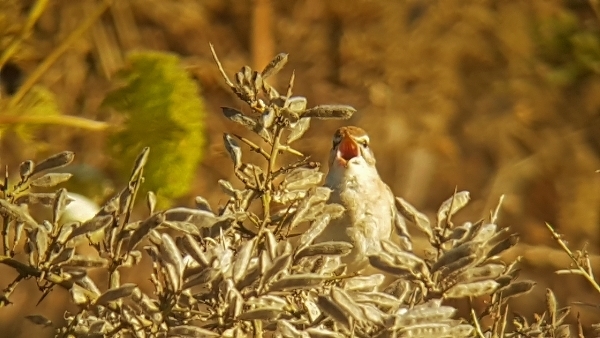 In the meantime a Nightingale called and flitted through the scrub and likewise another Sardinian Warbler. 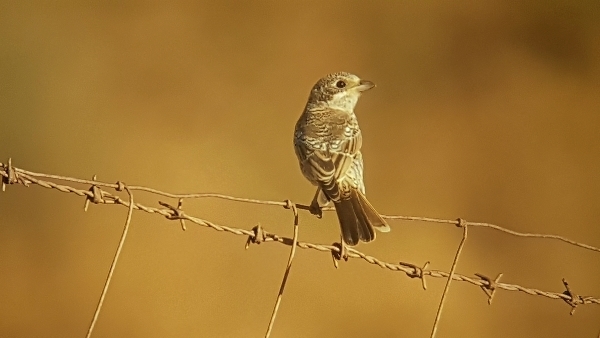 Back up on the wires we enjoyed sightings of several juvenile Woodchat Shrikes, Common Stonechats, more Bee-eaters, Linnets and on the track Goldfinches and Crested Larks kept us busy. As we reached the brow of the hill we watched a couple more Short-toed Eagles a Melodious Warbler along the fence-line and a lot more shrikes. We couldn’t find the usual Tawny Pipits nor did we see any Griffon Vultures at this point. 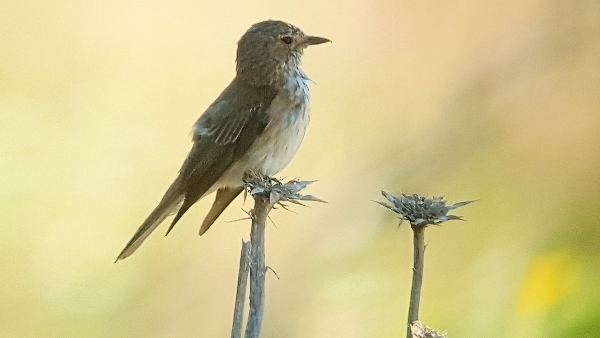 We drove down the other side of the hill to a venta for mid-morning coffee and tostado stopping to admire a Spotted Flycatcher and a Common Buzzard along the way. After our short break we drove down to the river Hozgargante and parked by a small ford. 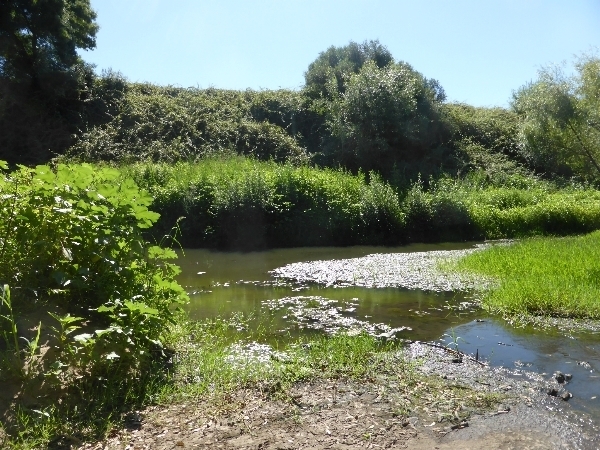 At the ford we had two or three sightings of a male Eurasian Sparrowhawk and both Violet Dropwing and Lesser Emperor Drangonflies were noted over the water, also dozens of Common Bluetail Dameselflies covered the space just over the water. Some flowering plants attracted a large number of Small Whites and a single Cleopatra Butterfly. The birding was quite slack, the temperature had risen quite significantly, we found a Firecrest, a male Blackcap and we heard both Jay and Golden Orioles calling. The track was littered with Common Chaffinches, a couple of dozen females and juveniles with just two adult males, Mary fell in love with the Chaffinch. By now many Griffon Vultures were on the wing, we watched a ridge where a single vulture perched and five Common Ravens were being mobbed a Eurasian Sparrowhawk. We never got see an Oriole or a Turtle Dove two birds I promised to show them, ouch! We left the area and return to Gaucin, the heat was getting unbearable, it had been a lovely 2/3 day’s outing.